You don’t need any experience to learn to climb, just enthusiasm and a reasonable level of fitness. We would normally be outdoors all day and would stop for a short picnic lunch at some point during the day. For complete beginners we can offer a full introduction, starting from zero, or if you have climbed at a climbing wall then we can help you make the transition from indoors to outside climbing. Learning to lead climbs yourself, placing your own gear for protection as you go, is a big step in any climber’s career. Once you can lead then you are able to climb independently and you will have the skills to go off and seek out your own climbing adventures. 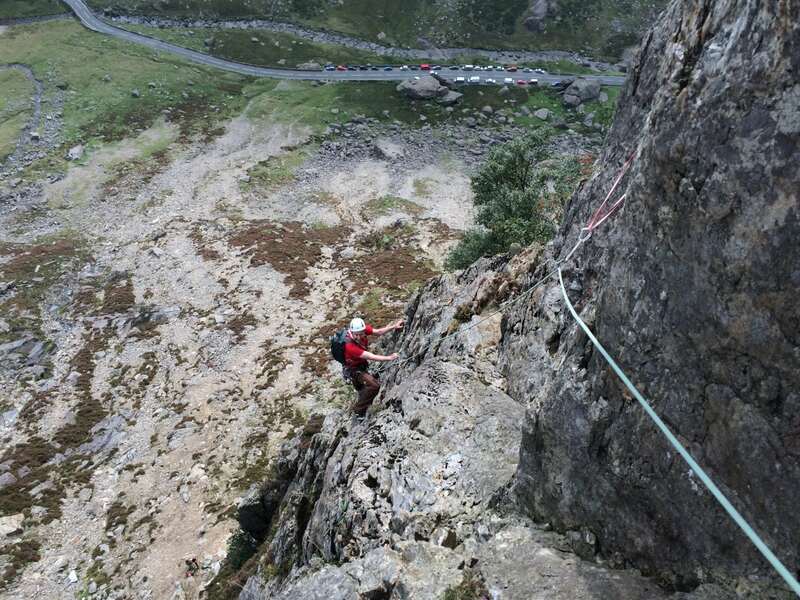 Ideally you will already have been climbing for a while as a second, and will have a reasonable grasp of basic ropework and safety systems employed in traditionally protected rock climbing, on single and multi pitch routes. Alternatively you may be someone who has already done some leading at the indoor wall , or may have done some sport leading outdoors. With either of these backgrounds you should already have the basics of ropework and some climbing movement skills, and therefore starting to lead climb is a perfect next step. 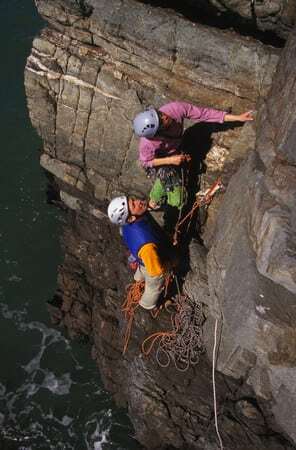 It is possible for complete beginners to reach a point where they may be comfortable to have a go at leading after a few days of instruction, but this may not be ideal for everyone. 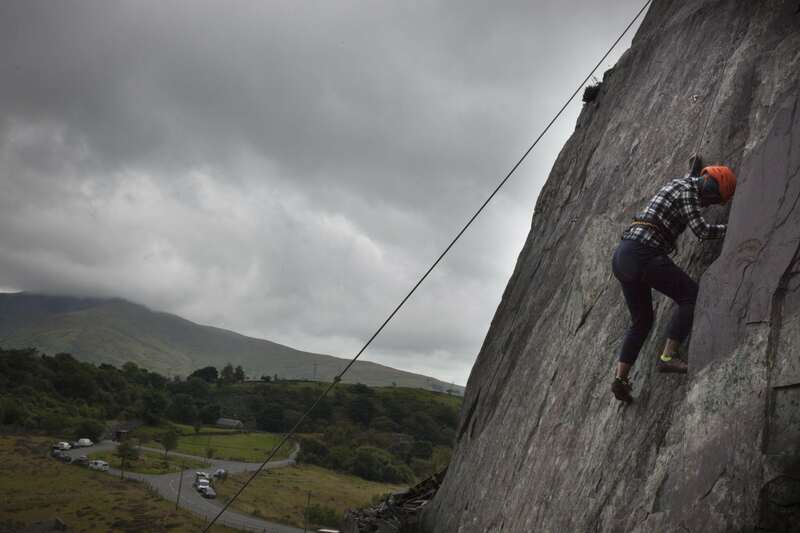 Why not come rock climbing in Wales and be guided on some of the classic Welsh Rock climbs? 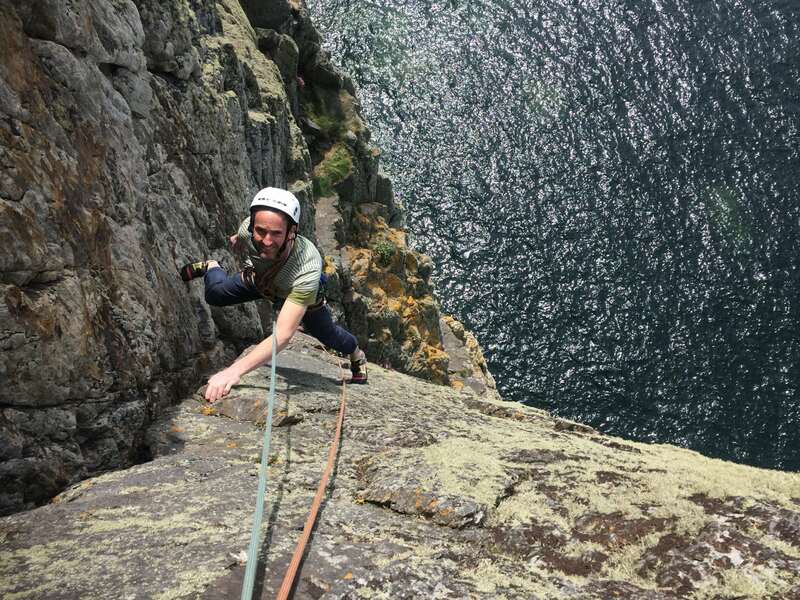 For many people this offers a great solution if you want to climb great routes but you have limited time, or you don’t climb often enough to confidently lead climbs yourself. Classic climbs would roughly fall into the Diff – Hard Severe grades. 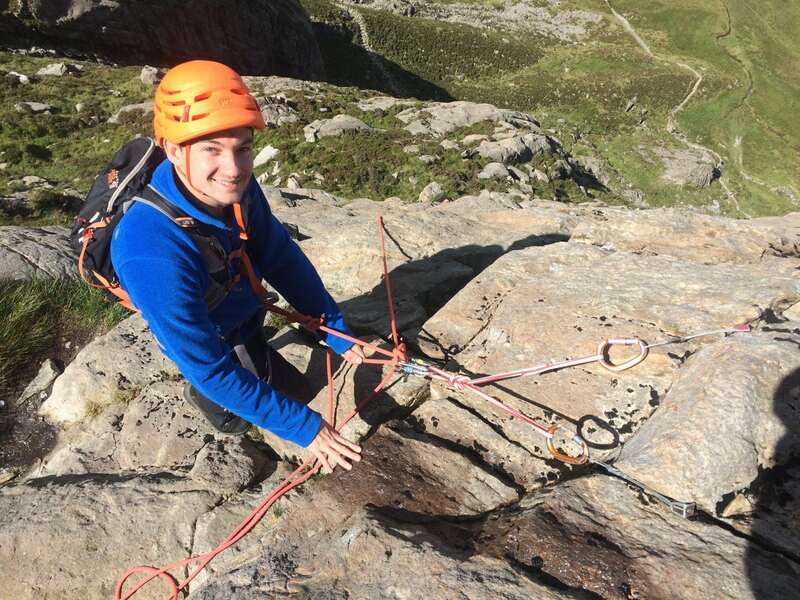 Guiding often will include elements of instruction too – perhaps if you’ve done some climbing before and want to extend your experience and learn whilst also ticking off some of the areas famous classic routes then this could be a great way to do both. 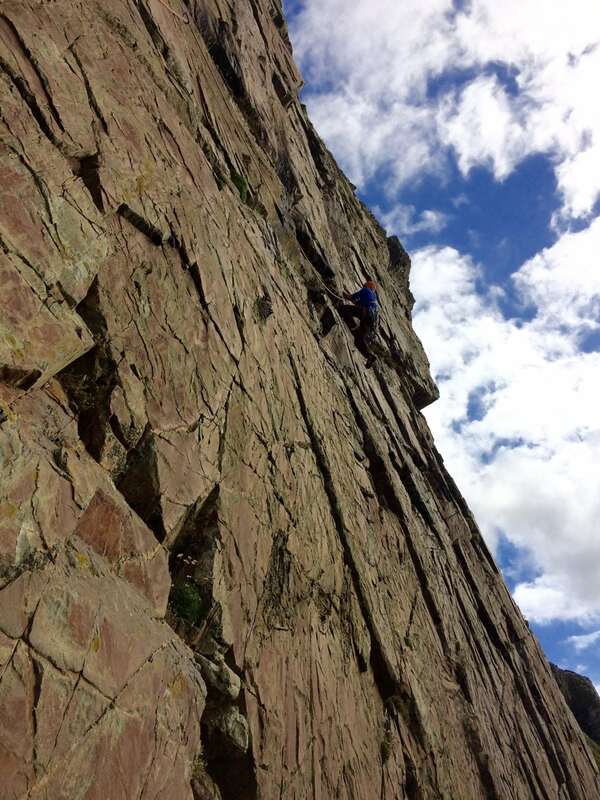 If you’ve done some climbing before, or climb indoors to a reasonable standard, then a guided experience on some slightly harder climbs could be a great experience. Intermediate rock would be classed approximately between HS – HVS level. You would also learn plenty too. Seconding intermediate routes would be a good preparation for the next stage of trying some leading. If you have confidence seconding slightly harder routes it gives you a a great ‘buffer’ if you are considering leading on much easier climbs. Also climbing routes in this grade band would often be done on double ropes so it would be an opportunity to learn more about that and build confidence. The harder category would range from E1 upwards, normally up to about E3, so if you are climbing 6a/6b, or more, comfortably indoors then it does open up some of these harder classic for you. We would usually guide harder routes at a 1:1 ratio, climbing on double ropes. Coaching can really help if you have reached an impasse or plateau in your climbing and don’t seem to be making progress. Give us a call and explain where you’re at and we’ll see what we can do.